Find BIAWW on LinkedIn, Facebook and Twitter! The Brain Injury Association of Waterloo-Wellington (BIAWW) is a registered not-for-profit charity that provides support, advocacy, and programs to survivors of acquired brain injury (ABI) and educational programs to the children and youth in the communities of Waterloo Region and Wellington County. We provide resources on how to access community resources such as legal, rehabilitation, health care, work re-entry, school re-entry and community services. We make available information on concussion and acquired brain injury to survivors and their caregivers. We offer a community prevention program called "Lidz on Kidz" which allows us to visit area schools, minor sport leagues and community events to promote wearing appropriate equipment and how to play safely with the proper helmet. We provide a caregivers support group called "Care to Share" where caregivers can speak with their peers to gain support and develop friendships. To give support, hope and answers to survivors of ABI. To be recognized as pioneers in meeting the needs of survivors and their caregivers and setting the standard for innovative program delivery, education and prevention of ABI. 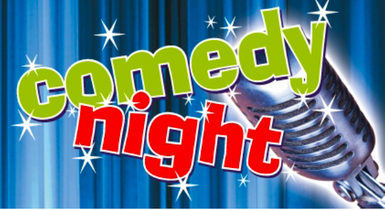 ​Join us Thursday June 6th for our 2nd Annual Comedy Night! Join us at Grand River Glassworks for a great workshop for survivors and members. $10 fee with the remainder provided by KW Community Foundation and private donors. Details and registration on Everbrite. Two sessions on March 29 and May 25. Sign up code has been sent to members and survivors via email. ​Check out the amazing masks and the stories behind the masks here. Check out our masks at THEMUSEUM! Twenty-three of our masks are on display for museum visitors. The support group meetings are FREE and open to anyone who has sustained a brain injury or who is supporting a brain injury survivor. ​Please join us!! New members, please email program@biaww.com to register! Next meeting: Tuesday May 21 at 7:00 p.m.
Next meeting: Wednesday May 22 at 7:00 p.m.
Next meeting: Tuesday April 23 at 6:00 p.m.
Next meeting: Wednesday April 24 at 7:00 p.m.
We are pleased to have Lynda Abshoff as our Executive Director! As a care-giver to a spouse with a brain injury, Lynda is familiar with the challenges faced by survivors and their supporters. She can be reached at director@biaww.com. We want to hear from you! Please take a few minutes to provide valuable feedback for our future programming. We have launched a new partnership with Loyalty Funding. Find out how you can support the BIAWW by making everyday purchases such as groceries, gas and coffee!